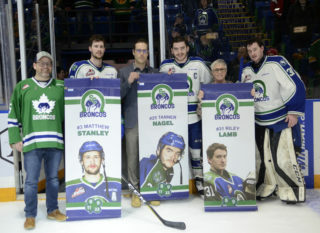 A solid road effort by the Swift Current Broncos was put on display but the Kootenay ICE prevailed by a score of 3-2 on Friday night as ICE forward Jaeger White recorded the winning goal late in the third period. 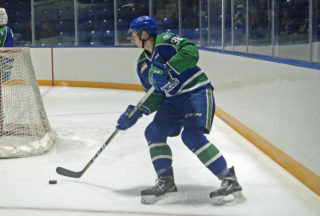 Kootenay netted the game’s opening goal when Connor McClennon took a centering ice feed from Austin Schellenberg while skating towards the net and redirected the puck by Broncos goaltender Isaac Poulter. 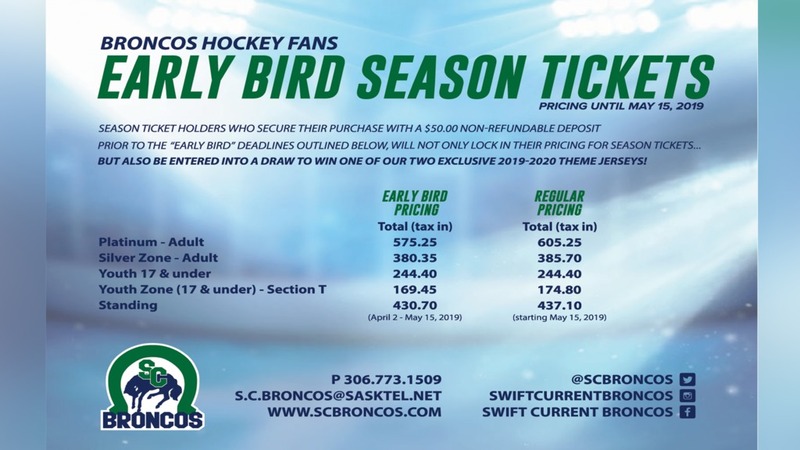 Good things happen when the puck goes on net and that’s what benefited the Broncos Owen Blocker as he entered the ICE zone and tossed a good low shot on goal that handcuffed goaltender Jesse Makaj. Broncos blue liner Garrett Sambrook and forward Tyler Smithies collected assists. 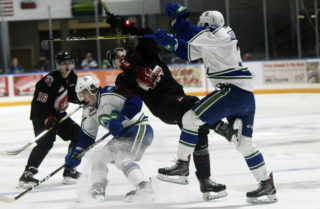 It was locked 1-1 with shots on goal being 10-9 for Swift Current heading to the second period of play. A Western Hockey League first happened for Christian Riemer as the Regina, SK product made history in recording his first career WHL goal. Broncos forward Eric Houk gathered the puck near the slot area and completed a pass to find a pinching Riemer and he shot it blocker side to beat Makaj and put Swift Current up 2-1. Kootenay didn’t go away as McClennon scored his second goal of the game midway through the third period to lock it 2-2. 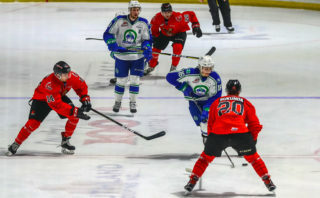 The tilt remained a tight battle between the two clubs but Kootenay’s Jaeger White scored the tie-breaking goal with 52 seconds left in regulation and it stood as the game winner. The Broncos continue their road trip on Saturday, February 2nd when they go against the Lethbridge Hurricanes at the Enmax Centre. Puck drop is scheduled for 8:00pm CT.